they're members of our family and our friends. 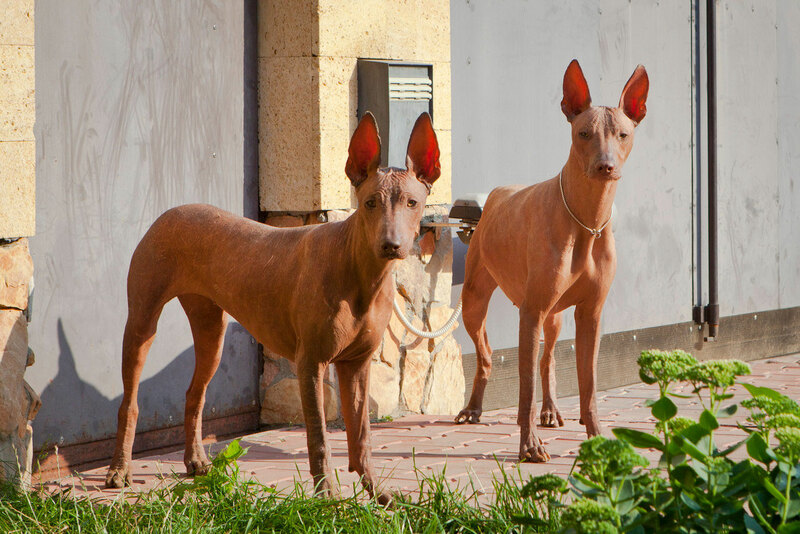 Mexican (Xoloitzcuintli) and Peruvian hairless dogs. 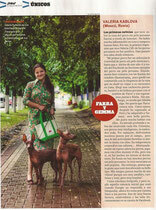 Izel and Cancun arrived from Mexican kennel "Caliente". 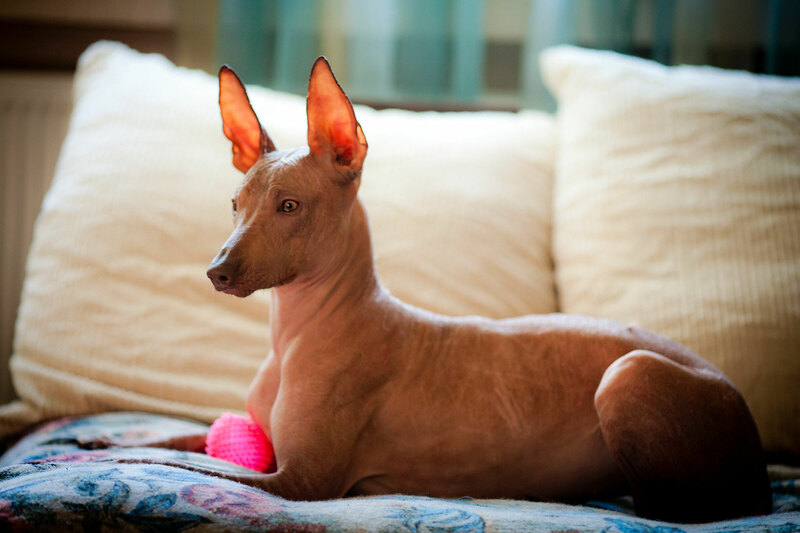 We met up with the breed Xoloitzcuintle (Mexican hairless dog) in the summer of 2009, when our friends got from Mexico miracle- puppy... Much to our surprise, the male had no hair, and I looked at him like he's an alien ... I have always loved beautiful fluffy little animals, so I'm a very long time was looking at the miracle- puppy, whose name was Cancun. Article about us in the Peruvian magazine "SOMOS"
At first time I learned about Peruvian Hairless dogs three years ago on the site about hairless dogs. At the site there was very little information about these dogs and beautiful pictures. 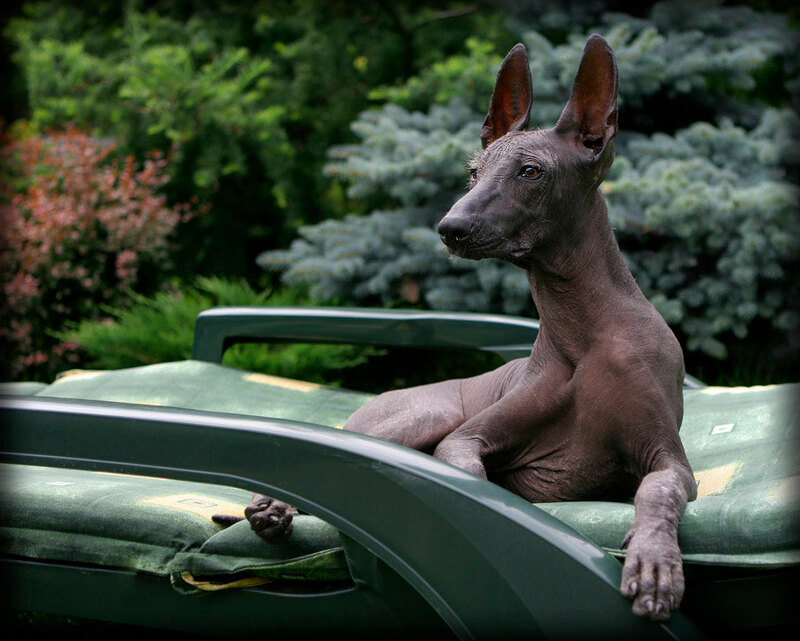 In early 2013, I saw on Facebook are very beautiful dogs, I thought this Mexican Hairless dogs. When I began to correspond with the owner of the kennel "Huatuntupaq" - Marisa La Rosa, it became clear that this Peruvian hairless dogs. 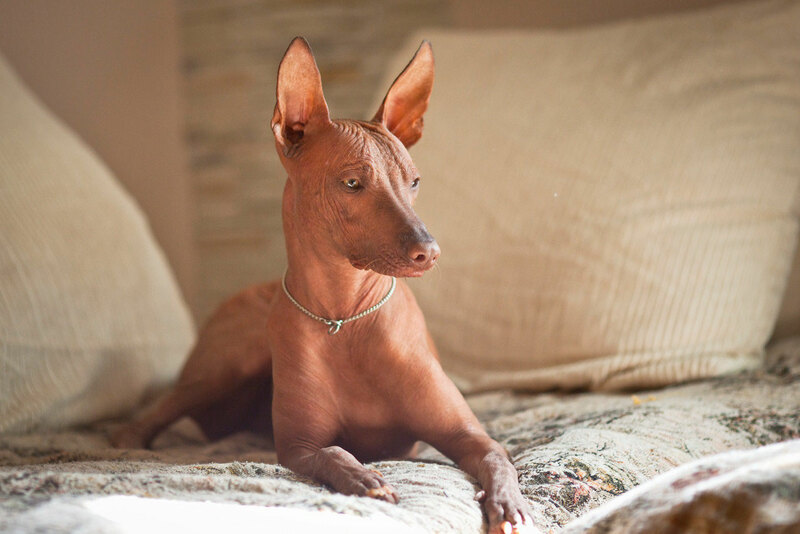 It became clear that I want to dedicate my life Mexican and Peruvian Hairless dogs. I long asked breeder Marisa to sell us one of her lovely dogs ... Finally, she decided, and offered us the Farra. My joy knew no end. Of course it was not easy ... But after a month of our acquaintance, I flew for the dog in Peru. We became good friends with the owner of the kennel "Huatuntupaq" MarisaLa Rosa and her cousin Clelia Lercary. At the time of stay in Peru they invited to stay with them. Marisa L.R. with gladly helped prepare the documents for export Farra. It turned out that is not so easy to take away the dog, which is a heritage of the country. Great that God is near and always helps us. 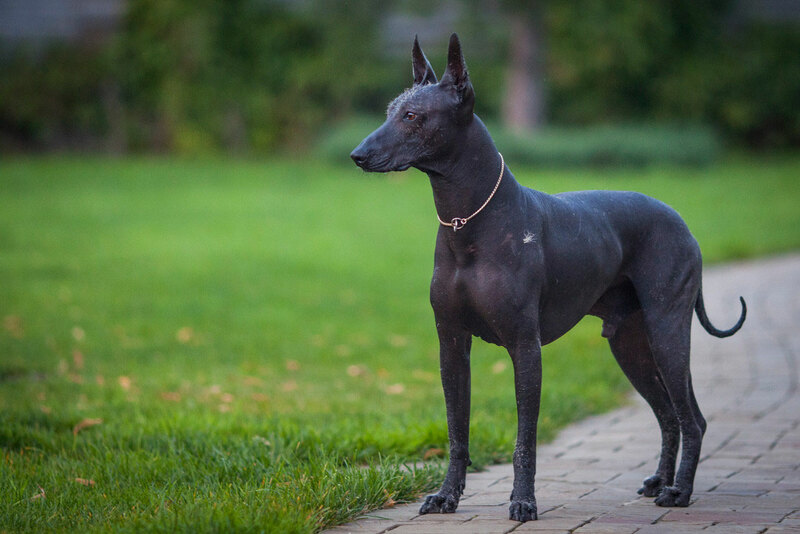 So after a month of our acquaintance with stunning bare Peruvian Hairless dogs from the kennel "Huatuntupaq" to our home in a small town, near Moscow, Vidnoe, came my super-star Farra, she is smart, funny, kind and very beautiful dog, it raises everyone's spirits with his energy and charm. On February 28/2013, in the Peruvian kennel "Huatuntupaq" were born four lovely small female. We loved the one pup, which we called Gemma. Four months after the last visit to Peru, I went there again ...June 19 Gemma arrived in Russia, to their new home. We continue to communicate with Marisa La Rosa and Clelia Lercari, I will never forget what they did for me. I believe that we'll meet again. Now we have a big international family that is willing to share their mood, experience and lovely puppies. Wonderful male Cancun Caliente lives with our good friends near Moscow. 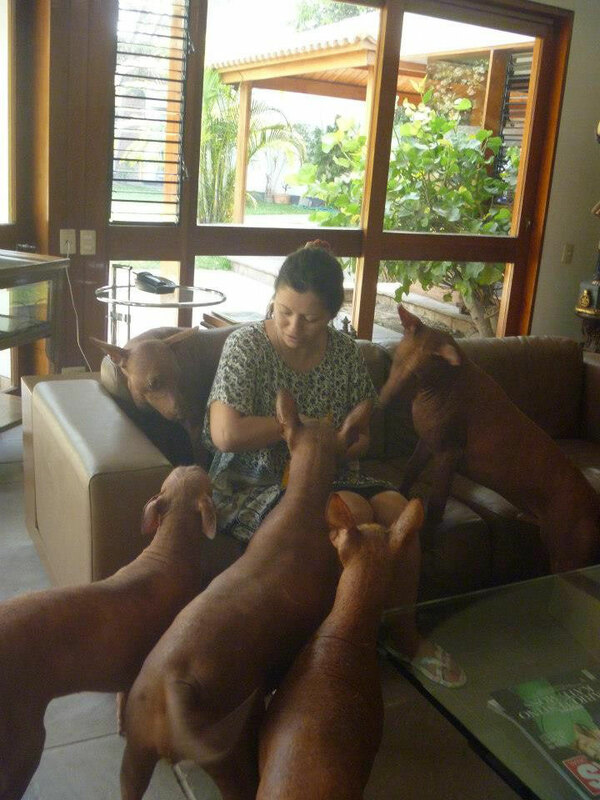 Mexican Hairless dogs IZEL, her son ARMANY and Peruvian Hairless dogs FARRA, GEMMA and JEFE living with us. We live in a very quiet and green surroundings, near Moscow, in a private home. Our dogs spend a lot of time outdoors, many are moving - they run and play. from which we all get a huge charge of positive energy.